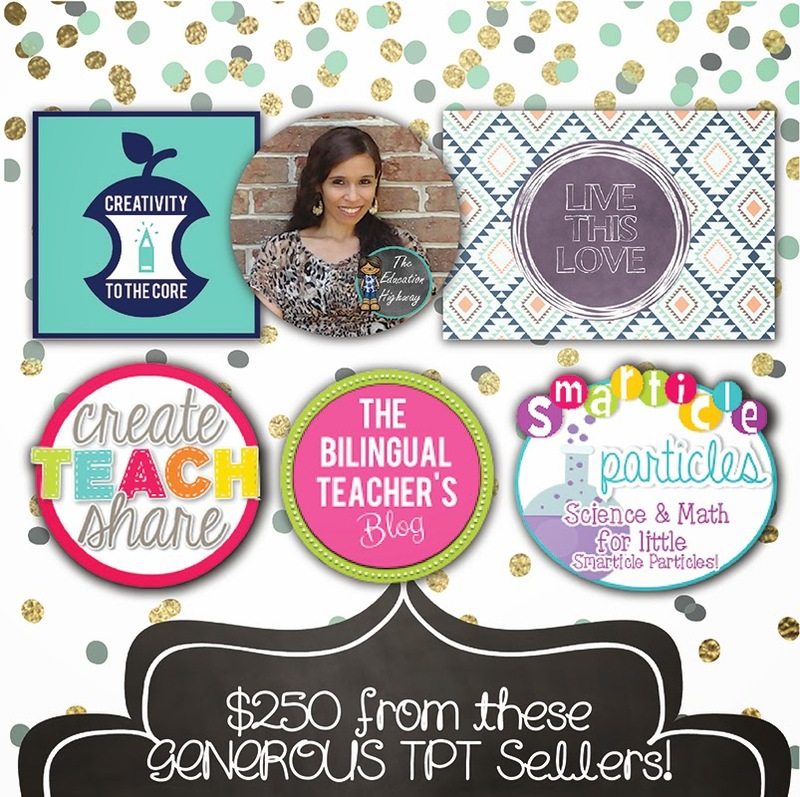 I have joined Lindsey at It's Elementary My Dear for her fabulous 600 IG Followers Giveaway! If you haven't entered her giveaway yet, you simply must do it NOW!! 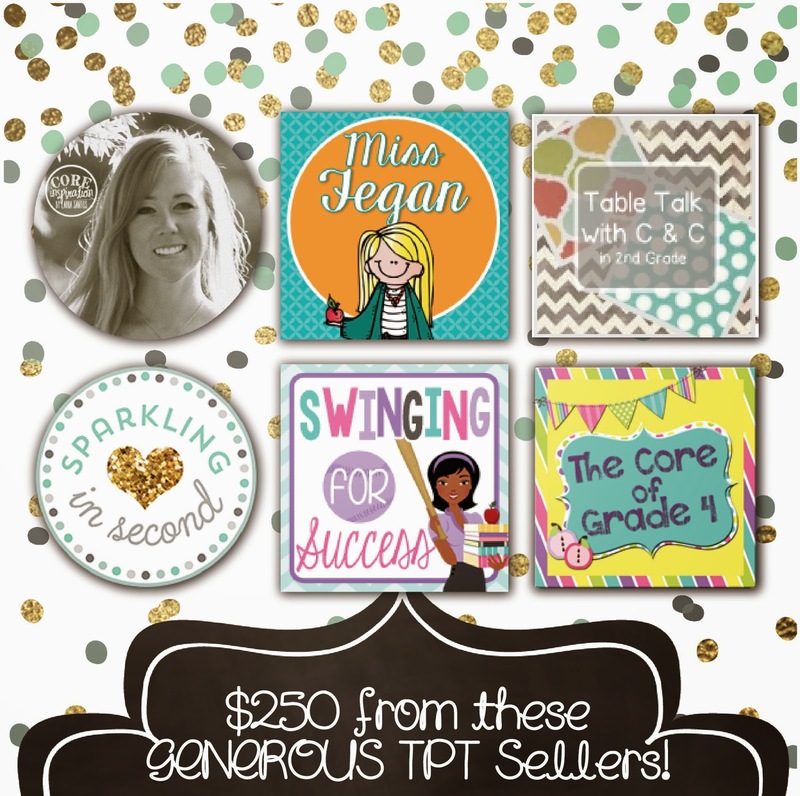 She has some unbelievable prizes for one lucky winner!! So here's all the information from Lindsey that you need to know . . . THANK YOU to everyone for showing your Instagram love! 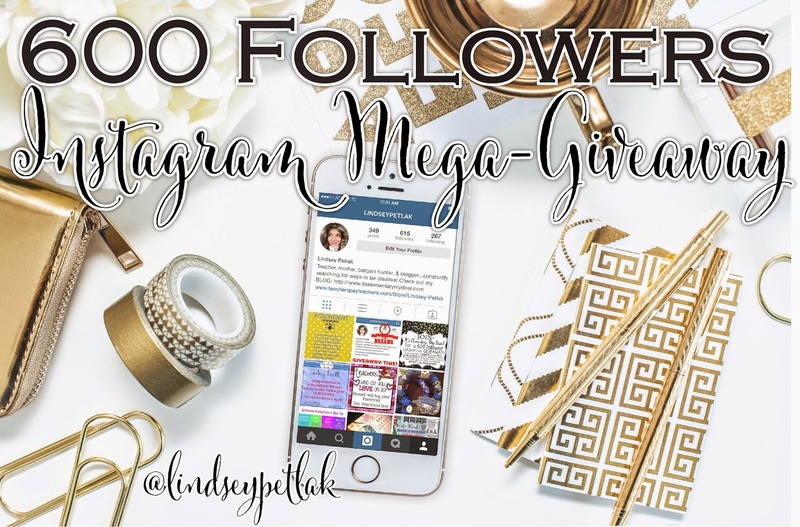 I can't believe it, but I've reached 600 followers and want to show my appreciation by offering up a collaborative MEGA-Giveaway worth over $350 in prizes and free downloadable products! 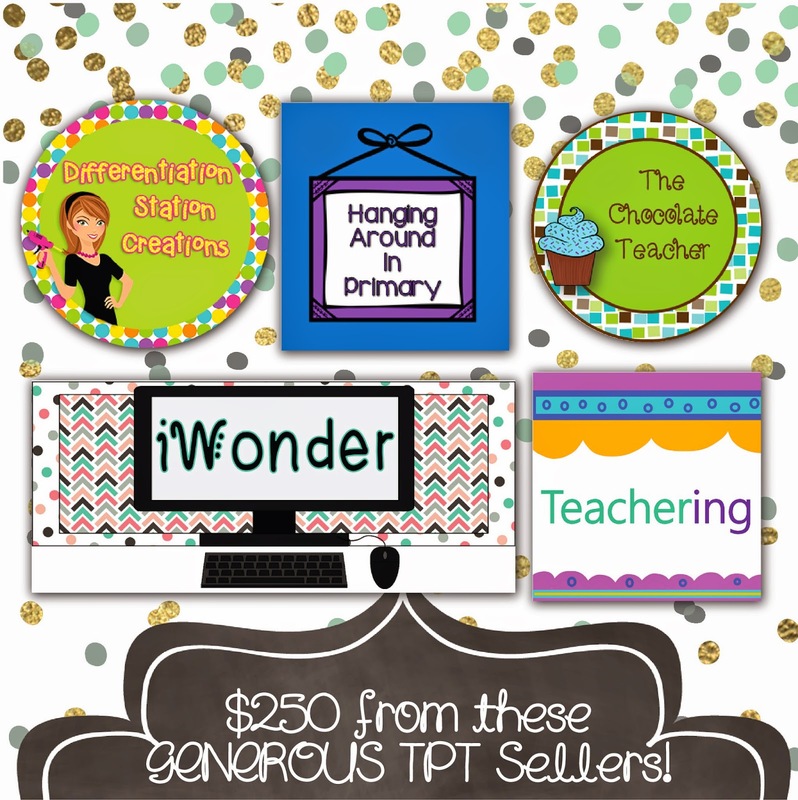 Thanks to the GENEROUS donations of the giveaway sponsors below, one lucky teacher will be going home with a boatload of fabulous goodies. Take a peek at the slideshow below, then read the prize pack details, and finally follow the directions to enter to win! My friends, you are walking away with some SERIOUS SWAG if you win this prize pack! See below for a detailed list of the goodies that await you if you are the lucky winner....winner....chicken dinner! Enter to win EACH DAY while the giveaway is still open!! Notice that category tabs are worthMORE THAN ONE ENTRY per person, so you're getting multiple entries per submission. Be sure to enter the correct information on each tab to be correctly entered. Winner will be announced Monday, January 26th! It has been FOREVER since I have blogged. This has been a rough year and one of my new year's resolution was to get back into blogging. So, what's the best way to start? 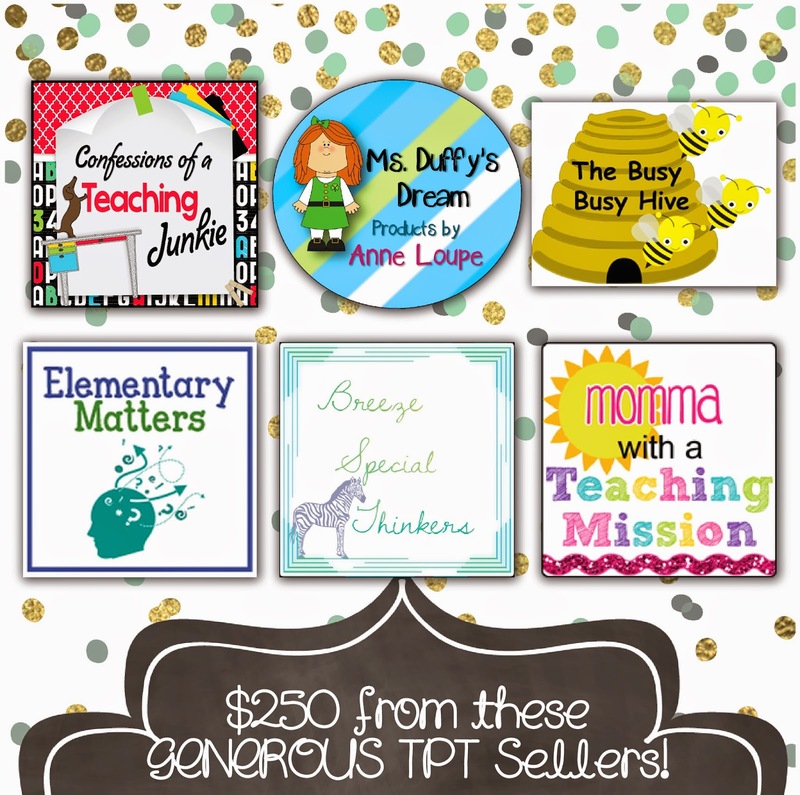 Five for Friday Linky with Doodle Bugs Teaching!! So let's get started . . . . This week we've been learning a lot about matter. 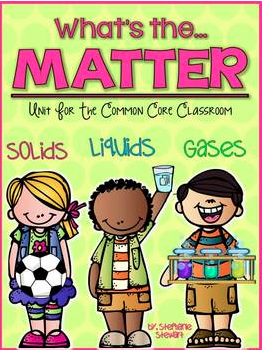 I found this fabulous matter common core unit - What's the Matter from Stephanie Stewart on TPT. There are some fun experiments and great articles for my 2nd graders to read. They really loved creating "Mad Scientist Punch". The punch was easy to create. All you need is rainbow sherbert, lemon-lime soda (like Sierra Mist), clear plastic cups, and straws. This was a great way for them to see a solid, liquid, and gas. My kiddos also brought in examples of solids, liquids, and gases from home. This was a great example because what she brought in was magnetic and she could show how you have to break apart the solid in order for it to change. I was so proud of her for making that connection and find this item at home to share with the class. My students also practiced being molecules in solids, liquids, and gases. It was fun for them to get up and move about to see how the molecules act. We also went on a "matter scavenger hunt". Students hunted around the room for pictures of different matter. They had to then classify it as a solid, liquid, or gas. This week we've been learning about place value during math. We've been practicing ones, tens, and hundreds. We've also been continuing to practice our addition and subtraction. Some of my students had Access testing, so we were partnered up with another class twice this week. 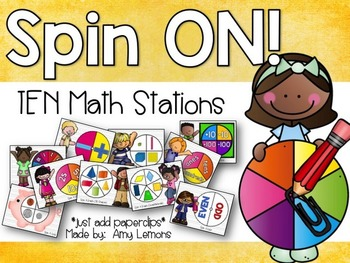 The students had a blast playing "Spin and Add" from Amy Lemons "Spin On! Math Stations". We've been working on opinion writing for the last few weeks. We started with writing about a favorite thing (food, sport, holiday, etc.) and why that was our favorite. This week we started working on writing our three reasons for our opinion. Students wrote about their favorite outdoor activity. Students also worked writing pen pal letters. We are pen pals with another 2nd grade class in our building, which my kiddos are loving! In their letters, they included some of their favorite things and why they are their favorite things. A great real world way to practice writing their opinion. This week, I've been working on some "Mousekeeping Envelopes" for a few Etsy customers. 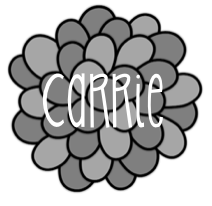 I've had a lot of fun coming up with some new color combinations and some new designs. I have a few done and more to work on this weekend. Here's a sneak peek . . . I am so excited that I finally bought my first pair of Tieks!! I've been wanting to try these for awhile and they were worth the wait! It was hard to decide what color and I finally decided on the "Cardinal Red". I can't wait to get my next pair!